With well over 1 million field operation hours and counting, Post Oak Traffic Systems AWAM Bluetooth solution is the most utilized Bluetooth travel time system in the United States. Listed below are a few instances where AWAM is currently being utilized. The Virginia Department of Transportation (VDOT) has installed a large network of AWAM devices in the Hampton Roads, Virginia area to monitor traffic conditions to and from the Virginia coastline. 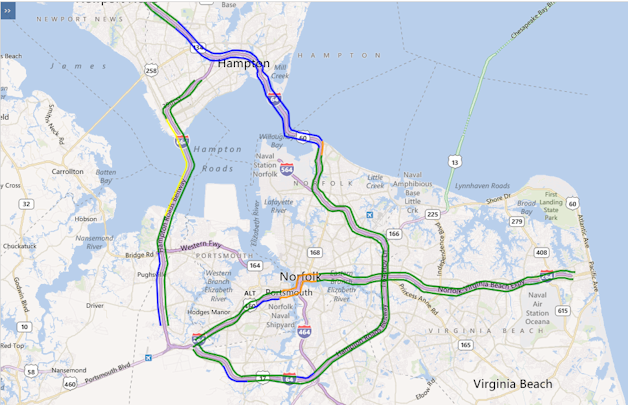 Using the travel time data provided by AWAM and a private sector data provider, VDOT will display comparative travel times for multiple routes to the same destination at strategic decision points in Hampton Roads. Travel time information will also be available at Safety Rest Areas and Welcome Centers in Fredericksburg, Skippers and New Kent County to help motorists traveling from the Washington, D.C. and Richmond areas. The City of Houston, Texas is currently using Post Oak Traffic’s AWAM devices and software to monitor traffic on some of the busiest and most critical arterials in Houston. Over 50 devices have been deployed in traffic signal cabinets in a 62 square mile area in West Houston with a planned expansion on the horizon. 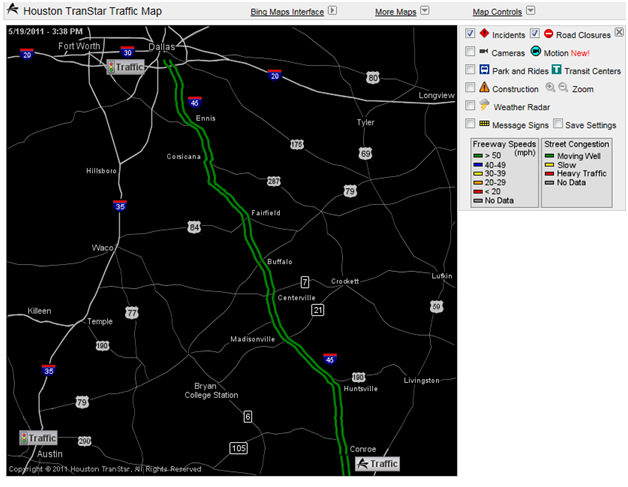 Using the AWAM system, the City is able to monitor system performance and provide live information on speeds and travel times through the Houston TranStar website’s interactive traffic map as shown below. 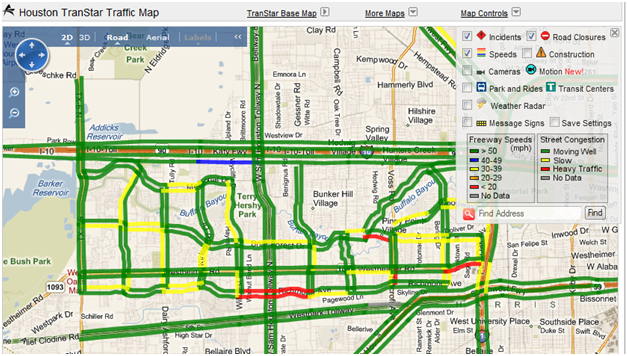 A live link to the traffic map is available here. The map is also available in a format suitable for mobile devices such as Smartphones. The Texas Department of Transportation (TxDOT) is currently using AWAM to monitor the 200 mile stretch of Interstate 45 between Houston and Dallas. During the evacuations prompted by recent hurricanes, TxDOT realized the importance of being able to monitor evacuation routes for determining when to implement certain traffic management functions such as contra-flow. AWAM has quickly allowed TxDOT to get live travel time and speed information on a rural stretch of interstate for a fraction of the cost of traditional probe-based detectors. In addition, the information is available to the traveling public every day on the Houston TranStar website located here. A sample of the map is shown below.